As an oily skinned gal, I love a good mud mask. Anything to help decongest, detoxify and keep my skin from breaking out is something I want to keep in my routine regularly. Some mud masks however can strip my skin horribly, leaving it dry and uncomfortable - only exacerbating the issue and making my skin more oily and prone to breakouts. I have been using two mud masks religiously this summer and love how they manage to clear out my skin while still keeping it balanced and hydrated. 1. 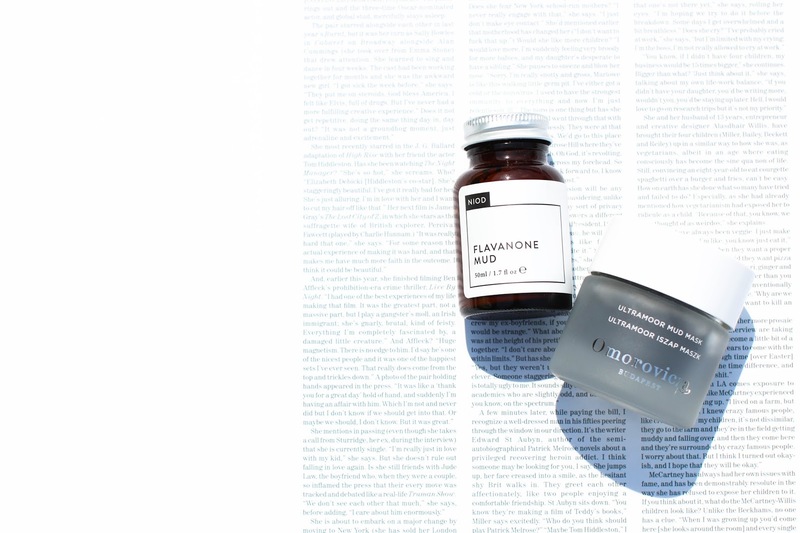 NIOD Flavanone Mud - There are mud masks, and then there is the NIOD Flavanone Mud. It's more advanced than any other mask in my collection mainly because it continues to work days after it has been removed helping to protect the skin from environmental damage. It removes surface impurities, leaves my skin less oily immediately after and the day following and gives a slight exfoliation. Because of it's formulation, it is not designed to irritate or disrupt the skin leading to little or no inflammation after. Initially I used it every night for 5 nights as suggested and found that my skin looked better as the week went on. I had a particularly uncomfortable blemish on my chin and it cleared up quicker than usual, with little to no surrounding redness of the area. I now use it in my routine once a week for maintenance and my skin has stayed balanced and my pores look cleaner and less congested. The only downside is the color - I prefer removing it in the shower because it stains very easily. But for these results I'll take the risk. 2. Omorovicza Ultramoor Mud Mask - While most mud masks are designed to help deep cleanse the pores, I got quite a lot moor (haha) with this mask than expected. After leaving it on for 10-15 minutes, my pores looked minimized and my skin felt tighter and firmer almost immediately. Exfoliation is often an added benefit of using a mud mask, but this left my skin smooth yet incredibly hydrated and radiant. 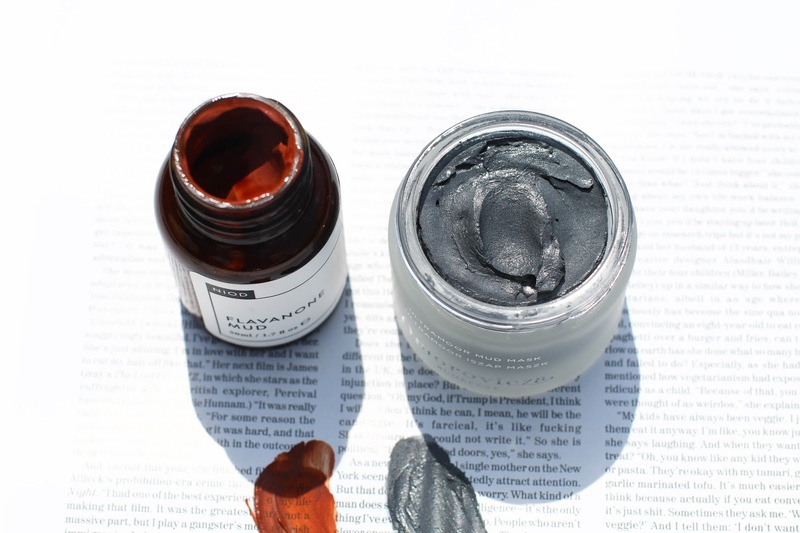 This mask experience is a mini facial in a jar! It's a great product to use when you need a quick boost for the skin and want instant results. I went on to apply my makeup right after to see how it would wear and it glided on my skin like I had airbrushed it on. It's true that good skin can truly enhance the look of makeup, and this mask's results proves that completely. Thanks for sharing! I'm such a mask addict and am always on the hunt to find new masks to try - especially to help with my blemishes. I don't comment much, but I've been reading for quite a while, and you always make me want to buy skincare! I'm wary of trying new things because my facialist sold me a few expensive products, but I've been looking for a good mud mask for a while. I ordered the NIOM; can't wait to try it!